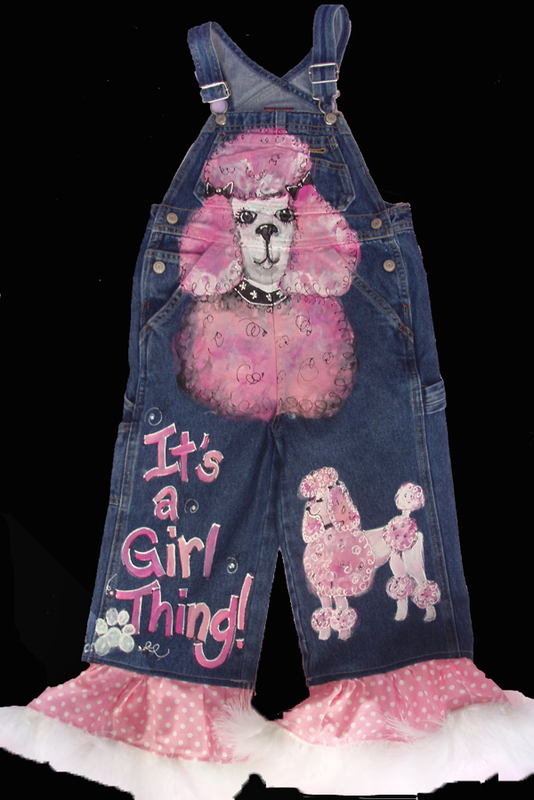 Original custom painted overalls for girls. Bib overalls, Bibs, Denim bibs, Oalls, no matter what you call them, I have got them in all sizes from baby to toddler, from childrens to adults and from tween to teen. These are a custom item and no two are alike. 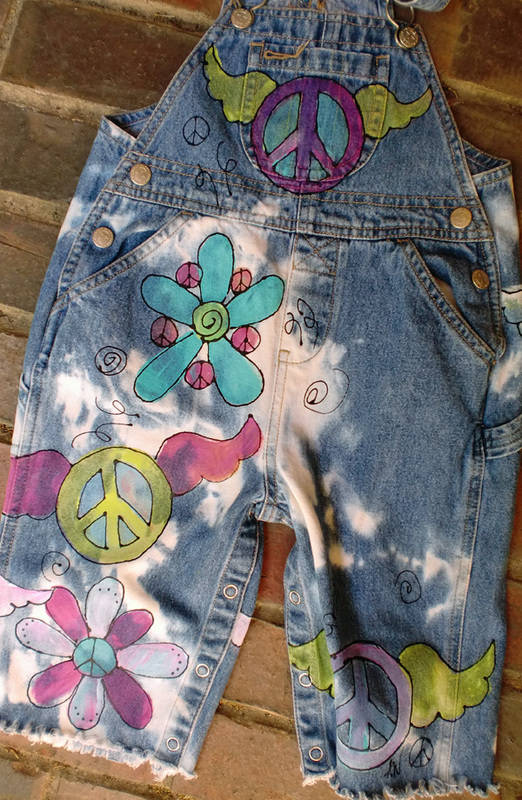 I am proud to say that MOST of my designs on overalls are made from upcycling denim overalls. 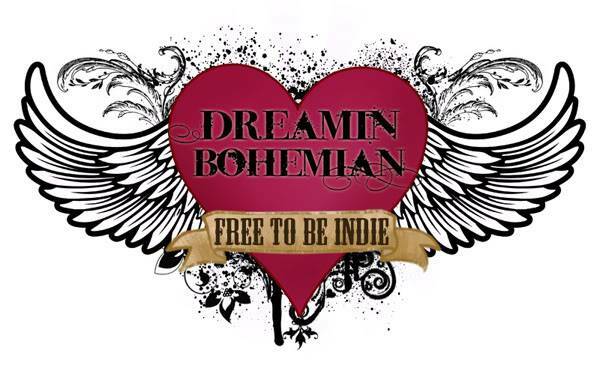 Dreamin Bohemian is GREEN...for the most part. 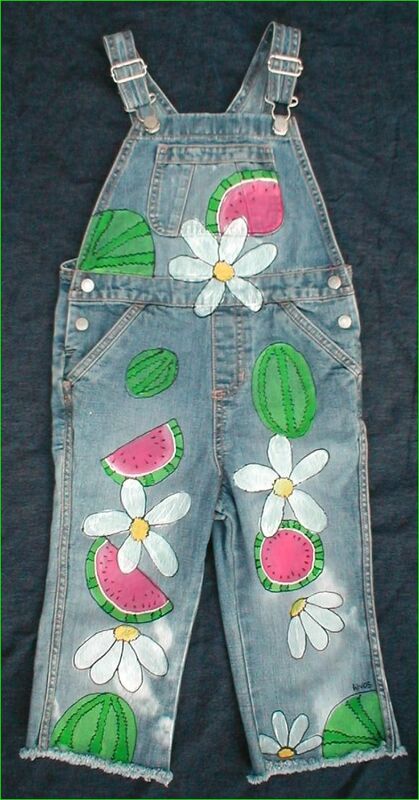 Recycling denim overalls gives so much character to the designs. It is my favorite way to go! 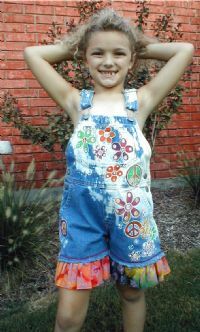 Shortalls, Capris-alls, and full length painted overalls. Blinged out with crystals, or ruffled up with designer fabrics. Great for Disney, Birthday parties, holidays, school and play. Matching shoes and tees are also available, just ask!